It’s not that hard to bring Global Citizenship to life around the world – in your community, workplace, or anywhere you choose. This program gives committed people – like you – an intensive overview of a global issue along with a pathway to solving it and the framework for them to map their action on that issue. #100Acts – the possibilities are truly infinite. As an organization devoted to making global citizenship tangible, we firmly believe in that statement. But we also know that most people, though they have the will to take action, often lack the path and the time. This is why Melton Fellows are leading the way by doing small, achievable acts in their community that make a tangible difference on an issue their communities are facing. Because changing the world can begin with small Acts of Global Citizenship. 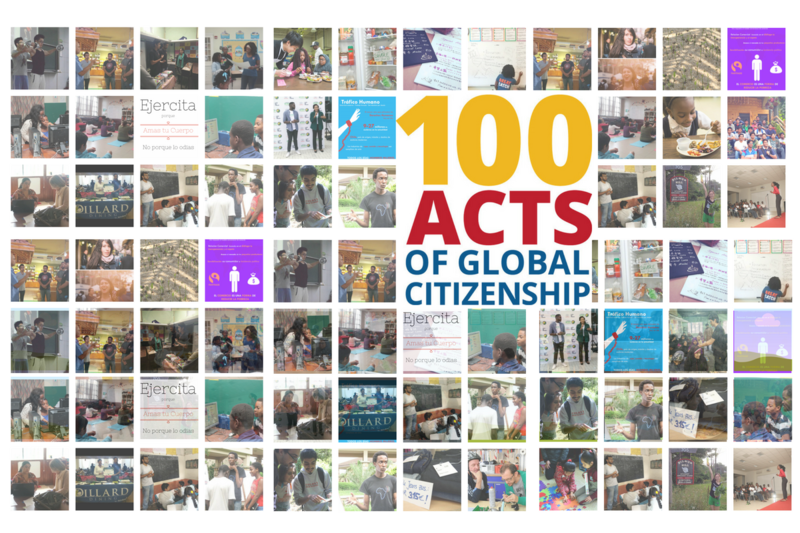 Melton Fellows are leading the way: explore #100Acts of global citizenship and join the campaign! What's an Act of Global Citizenship? Simple acts that any one person can do to address a social issue. Acts done with or in a community that you already know. So no, you won’t have to save children in a foreign land. Acts can be executed in two hours, two days, or even two months. It’s up to you. Acts can use any methodology or format – from starting a conversation with friends and family to making and distributing an online zine. You decide. Acts create tangible impact, no matter how small – whether it’s your brother becoming more gender sensitive or your company changing its policy on sustainability. Awareness of global issues and how our actions affect not only our own communities, but other communities around the globe. Actingo forge collaborative solutions to these problems across the street and across the world.